When it comes to light meat or dark meat, everyone has a taste preference. But if your first choice is the drumstick or the wing, nutritionally it comes at a price. There's a reason nutritionists recommend that you eat more light meat chicken than dark meat. Not only is the light meat chicken lower in calories than dark meat, but it's also lower in total fat and, more importantly, lower in saturated fat. Knowing the nutritional differences between the two types of poultry might help you determine how they fit your diet plan. If you're looking to reduce calories, light meat chicken is the better choice. A 3.5 ounce serving of roasted light meat chicken contains 173 calories, while the same portion of dark meat chicken contains 205 calories. Although the difference is only 32 calories, eating an extra 32 calories every day for a year can lead to a 3-pound weight gain. Most Americans eat way too many calories as it is, according to the U.S. Department of Agriculture, and finding even small ways to cut back can make a difference. When it comes to fat, dark meat chicken is significantly higher than white meat. A 3.5 ounce portion of cooked light meat chicken contains 4.5 grams of total fat and 1.2 grams of saturated fat, while the same portion of cooked dark meat chicken contains more than twice that amount, with 9.7 grams of total fat and 2.7 grams of saturated fat. Limiting your intake of saturated fat reduces your risk of heart disease. The 2010 Dietary Guidelines for Americans recommends that you limit your intake of saturated fat to less than 10 percent of your calories. On a 2,000-calorie diet, that means no more than 22 grams of saturated fat a day. Not only is light meat chicken lower in calories and fat than dark meat chicken, but it is also higher in protein. A 3.5-ounce portion of cooked light meat chicken contains 31 grams of protein, versus 27 grams of protein in the same portion of dark meat chicken. Protein is an essential nutrient found in every cell, organ and tissue in your body. Women need 46 grams of protein a day, and men 56 grams a day. The vitamin and mineral content of dark and light meat chicken also varies. Protein foods like chicken help you meet your B vitamin, zinc, iron and magnesium needs. Light meat chicken is a better source of the B vitamin niacin, while dark meat chicken is a better source of the B vitamin thiamin. 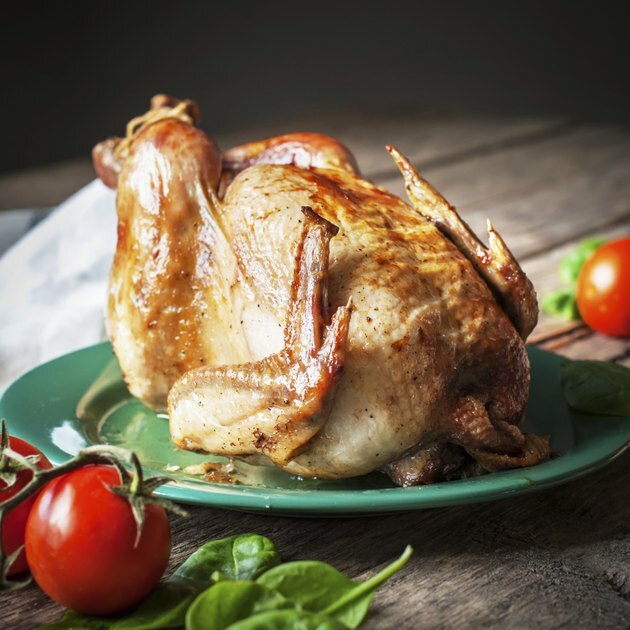 Dark meat chicken is also a better source of iron and zinc, but light meat is a better source of magnesium.